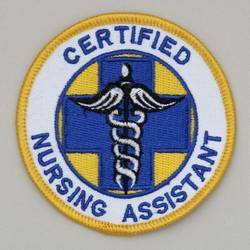 Northwest Nursing Assistant Certified Training is Washington State’s official CNA Exam test site. Not only will our training help you prepare for the test, you can also take it here. This is more convenient for our local students, and it also provides a familiar place to take the exam. The exam itself is taken in two portions: a multiple choice exam and a demonstration of actual nursing assistant duties. You may take the multiple choice exam in either written or oral form. During the oral examination, you are required to take a short reading comprehension test. You must pass both sections. Your demonstration of nursing abilities can include proper hand washing techniques, taking and recording vitals, assisting with activities of daily living as well as rehabilitation and incontinent care. Clinical experience includes long-term skilled nursing, sub-acute care, and assisted living and memory care. There are 22 skills in all and students will be tested on five of these skills, all of which must be completed in 30 minutes. As an official testing site for the Washington State NAC, our students have the opportunity to take mock exams at an actual testing facility. Students spend the first two weeks of training in lectures where they learn and practice relevant skills. For the next two weeks, students visit local facilities with a nurse to practice in a real setting. Students are provided with scheduled lab time for more practice and open lab times are also available to develop skills. After students complete the scheduled lab time, we provide them with a mock exam to test proficiency. Open lab time is available after completion of the course to help students prepare for the CNA exam. This time can vary as incoming students will also need time for scheduled lab instruction. Essentially, CNA exam practice entails performing each skill as required by the official NNAAP Exam Booklet – our lab is also a NNAAP Exam Center. For the final exam, students must perform five of those skills in 30 minutes without knowing which five skills will be used. Fill out your application now for entrance in the Nursing Assistants Certification program.